05/04/2019: Nando's Falkirk is always clean, always friendly, and always what you love and expect from Nando's - DELICIOUS! 04/04/2019: I had an extra hot half chicken with chips and coleslaw. To be truthful I expected the extra hot option to be almost unbearable so I went for cooling coleslaw and normal chips as sides. 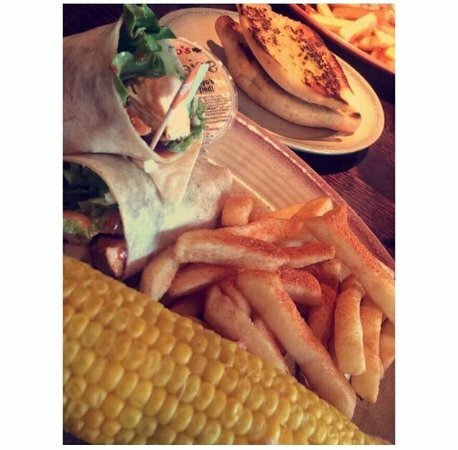 20/03/2019: Nando’s is hands down one of my favourite places to eat. I have never had a bad meal there. I think the super grains salad with chicken might be my most favourite thing I’ve ever eaten. I always get the hummus with peri peri drizzle as well. I do think Nando’s is always consistently good. The service can be a little slow during the busy periods, but that’s to be expected. 15/01/2019: We come here quite a lot and the food is good and service too. Toilets are nice a clean (which I feel is a good indication of the state of a restaurant overall). 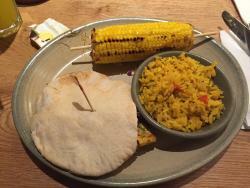 We’d fully recommend this Nando’s if you haven’t been.